World Space Week Association (WSWA) has released its latest annual report of events organized in 2016. 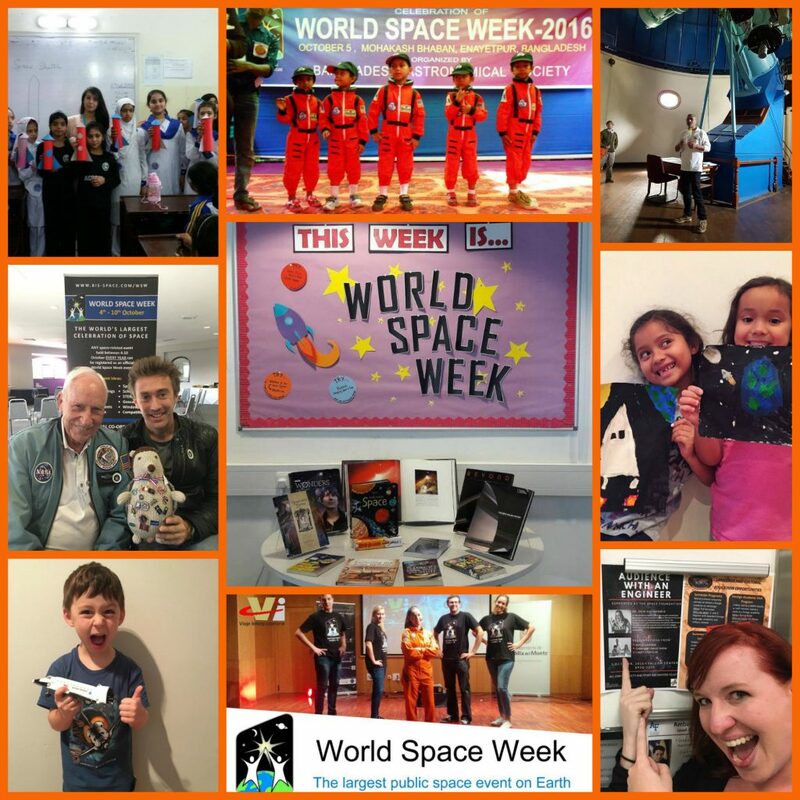 The global network of World Space Week National Coordinators, volunteers, supporters and sponsors together achieved a new record, running over 2700 events across 86 countries during World Space Week 2016. By synchronizing events globally, every year World Space Week provides the space community the leverage to raise public awareness, grow media attention and inspire youth. The theme for 2016 “Remote Sensing – Enabling Our Future” provided an opportunity to recognize the enormous significance of Earth observation from space for the betterment of humanity. Remote sensing is very relevant to all nations across the world and was embraced by everyone who participated in the celebrations during World Space Week. 2016 witnessed several high level events during World Space Week with our partners and sponsors taking the lead. A few of the highlights included Airbus Defence & Space’s astonishing 227 events held in France, a special space and policy panel in Nigeria, and a record number of events held in Pakistan and in the United Kingdom. The top 10 countries with the most number of events recorded (in descending order) were Saudi Arabia, Pakistan, Brazil, India, Romania, United Kingdom, Mexico, USA, Spain, and France. World Space Week has grown rapidly in the last 10 years, from less than 500 events in 2007 to more than 2500 events recorded in 2016. As we gear up for the next year, WSWA would like to thank the sponsors, partners, and the global WSW community who have made it the largest space event on Earth.